PlayGround Blog: Musical Theatre Night with Misner & Smith! “If music be the food of love, play on!” (Twelfth Night). The topic has been announced and PlayGround writers now have four-and-a-half days to create their original works… six brand-new short musicals for PlayGround’s 7th annual Musical Theatre Night. And in a bold new twist, PlayGround will join forces with local folk rock duo Misner & Smith, featuring PlayGround Company Member Sam Misner and his partner Megan Smith. Their original music will be the source of inspiration for the brand-new ten-minute musicals and Misner & Smith will perform the works live alongside an ensemble of leading Bay Area actors. The festivities kick off Monday, November 16, at 8pm at Berkeley Rep’s Roda Theatre with a free pre-show talk at 7:10pm. Advance tickets are $15-$20 and $20 at the door, subject to availability. For tickets and more information, visit http://playground-sf.org/monday. In the tradition of recent album-inspired rock musicals like The Bengsons’ Hundred Days and Green Day’s American Idiot, PlayGround in collaboration with Misner & Smith has selected ten songs drawn from three of Misner & Smith’s albums, including several from their newest release Seven Hour Storm, and invited PlayGround playwrights to each develop an original short musical based on one of these songs. The top six works will be presented as script-in-hand staged readings as part of PlayGround’s celebrated Monday Night PlayGround series. The monthly Monday Night PlayGround staged reading series provides a unique opportunity for the debut of fresh new works by the Bay Area’s most promising new voices, performed by some of the Bay Area’s favorite actors on what is typically their only night off. This year’s Musical Theatre Night and the resulting short musicals will aptly carry on this tradition. PlayGround audiences get to enjoy a unique behind-the-scenes perspective, with a free Pre-Performance Discussion at 7:10pm, with several of the featured playwrights. Audience members can also experience the thrill of being a producer through the monthly People’s Choice Awards, helping to determine which plays and playwrights go on for consideration in PlayGround’s annual showcase, the Best of PlayGround Festival. Sam Misner and Megan Smith have played music together as Misner & Smith for over eleven years now, but met originally as actors at Cal Shakes in 2002. After being cast in a production of Woody Guthrie's American Song two years later, they began their musical collaboration, which has led to four albums over the past decade. They continue to work as actors having recently played opposite each other in Rapture, Blister, Burn at Capital Stage in Sacramento, and Sam appeared in King Lear at Cal Shakes this past summer. They also both acted in and composed original music for a production of The Grapes of Wrath at Sacramento Theater Company last fall. Seven Hour Storm, the duo’s most recent album, has garnered high praise from critics and fans alike. 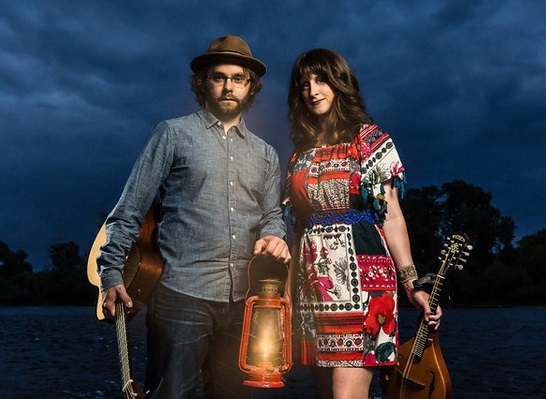 Their award-winning songs range from folk to rock to Americana to bluegrass, but are essentially something all their own, defined by the stories that each song tells. WHAT: Occurring monthly, September-March, the popular Monday Night PlayGround series presents staged readings of thematically-connected short works by the Bay Area’s best new playwrights each month at Berkeley Repertory Theatre, staged by leading local professional actors and directors. For our 7th annual Musical Theatre Night, PlayGround will present six original short musicals inspired by and based on the music of local favorite Misner & Smith, with live accompaniment by the band!